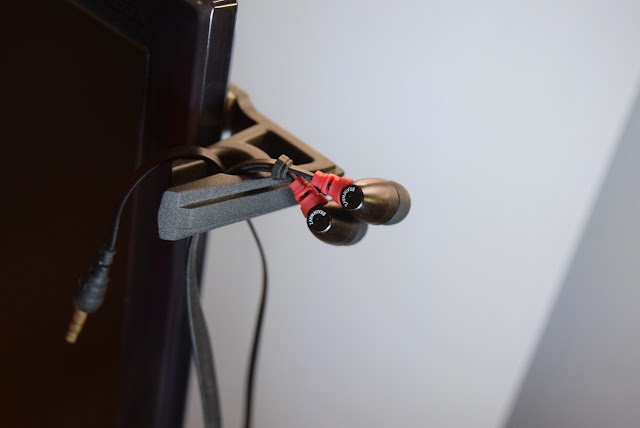 Nice review of the Krudul Duo Earphone Hanger. The Krudul Duo is a set of 2 specially designed hooks, for hanging and storing earphones/earbuds safely. One is designed for attaching to a computer monitor, and helps keep that work space / play space clear, and the other that can be stuck anywhere, by the door, on the side of the bed or by a plug so you can hang those Bluetooth earbuds safely while they charge. Its the gadget you never knew you needed until you have it.